One more rare spanish release. Another rare early spanish experimental cassette. For spanish underground music archeologists only. Requested by Autodolor and Stahlfabrik. 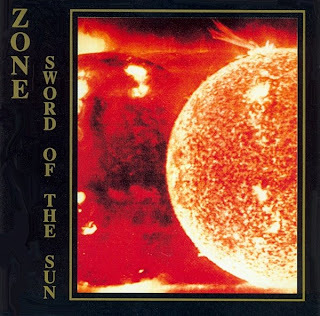 After I received their amazing debut "Sword Of The Sun" LP, I asked the Zone members to record an interview for an exclusive airplay. They did it when their second release "Born Of Fire" was coming. Here it is. Most Zone CDs can be purchased here. CD version of the beautiful first Zone LP, originally released in 1988. All other CDs and a few copies of the original LP are available here. 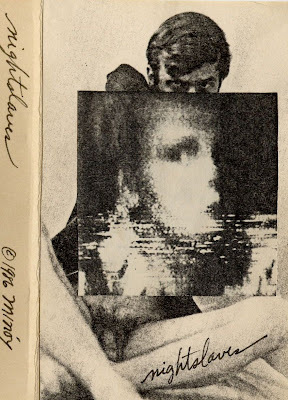 Minóy was a name that everyone knew in the eighties' post-industrial cassette network, as he had a lot of cassettes released, but he has strangely disappeared during the nineties and then was a little forgotten. Another eclectic compilation cassette released by Epitapes, with great tracks by Vox Populi!, City Of Worms, Randy Greif, etc. Excellent compilation released by an excellent label at the end of the eighties. That cassette is a personal favorite of mine, especially the last track "Flaming Carrott". Deathranch was Cliff Neighbors and Pete Leeming, two Big City Orchestra members as well. 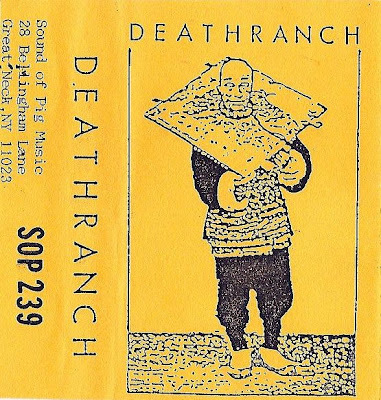 The first Deathranch appearance was on "Massacre Of The Innocents" (I've always wondered why it was not only a BCO cassette as the two Deathranch members are also BCO members...). "A Prisoner" is to my knowledge the only Deathranch release. 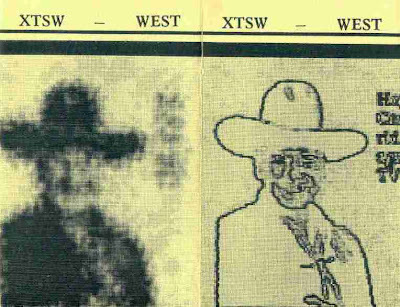 From an old Sound Of Pig catalog : "A band from the hand of BCO, Deathranch's "A Prisoner" takes none -- deep, dark, dreamless and dronish -- pretty much what you'd think a deathranch would sound like -- minus the horses-out-bloody-rageous". 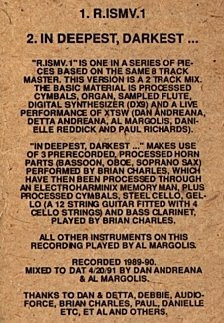 I've found that recent description of Cliff Neighbors on the Net : "Cliff Neighbors has been making underground experimental and electronic music and sound design since 1981. Much of the work publicly attributed to him was actually done by someone else. Work that he did perform was often credited to other people, or not at all. He claims to have recorded, produced and performed various forms of sound art for radio, theater, film, dance, gallery and literary events, parties, pranks, and demolitions. Past affiliations include Mad Scientists, Deathranch, Big City Orchestra, Crawling With Tarts, Ham On Rye, Moving and Storage/Crash Burn and Die, The Haters, Peoplehater and Edgar Winter's White Trash". More Big City Orchestra and Sound Of Pig posts soon or later ! 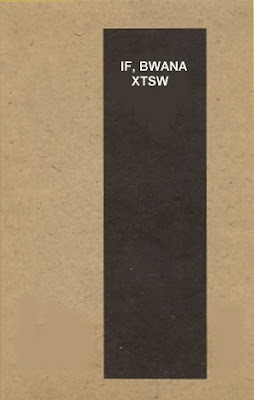 XTSW was a band around Al Margolis - aka If, Bwana -, the owner of the famous Sound Of Pig Music cassette label. That cassette was recorded live on KZSC, Santa Cruz, 11/26/87, and features Big City Orchestra members Cliff Neighbors and Das (the radio host).